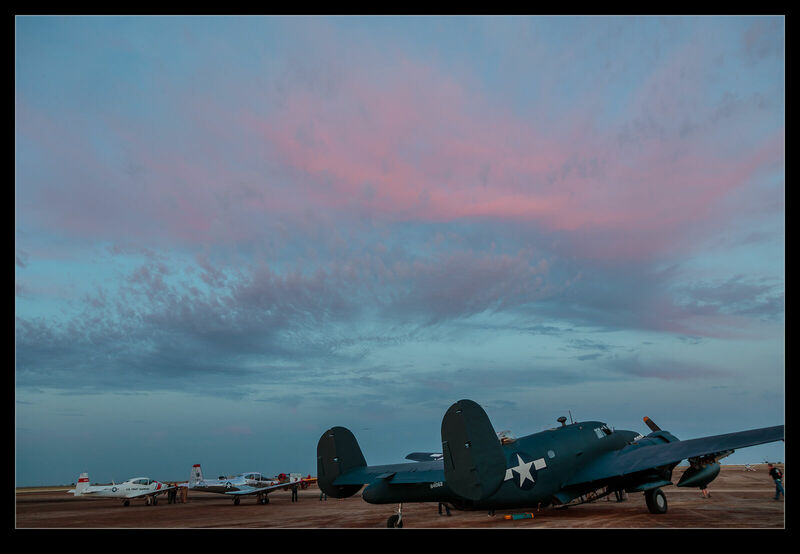 During the evening of the Eagle Field fly-in, there was a dinner held in the hangar. I took the time to wander around outside as it had become a lot quieter and the chances to shoot the aircraft had improved. As the sun went down, things got considerably better and the evening light was lovely. Not all aircraft were well oriented to take advantage of it but there was still plenty of scope. 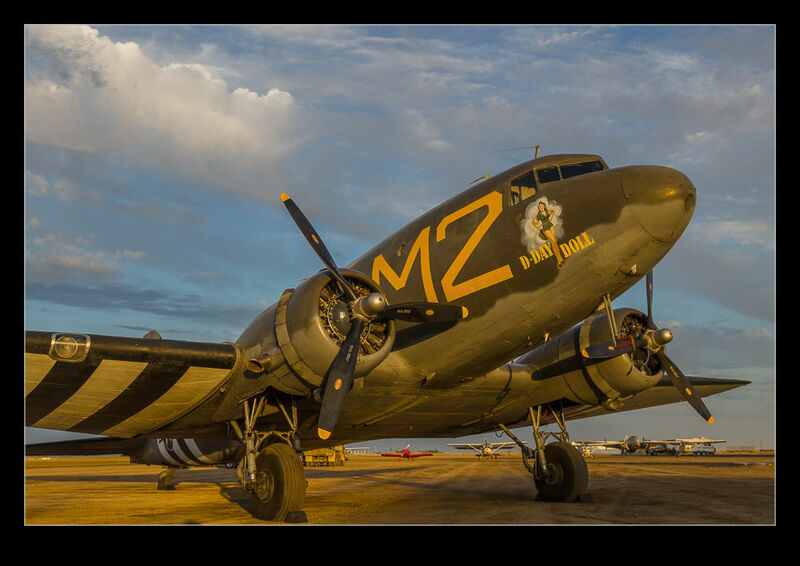 This entry was posted in aircraft, military, photo and tagged aircraft, airplane, c-54, california, Douglas, eagle field, fly-in, military, navion, North American, photo, piston, skytrain, sunset, T-6, Texan, trainer, transport, vintage. Bookmark the permalink.